Last year about fifty American police dogs died of heat exhaustion from being locked in hot cars. This is why we need to remember to recognize April as National Prevention of Cruelty to Animals Month. As hard as it is to stomach, we need to think about how we treat our fellow creatures. Opposable thumbs and thinking about abstract concepts may separate us from animals, but these facts do not justify cruelty toward our four-legged friends. It’s our responsibility to speak about the injustices we see for those who do not have a voice. Humans are capable of great destruction, but we are also capable of great good. Prevention of Cruelty to Animals Month is about recognizing our potential for both and doing something proactive. The creature, in its distress, killed itself in frantic attempts to escape. Lord Erskine spoke to Parliament concerning animal abuse, becoming the first person to mention the issue in front of a legislative court. Massachusetts Bay Colony's Body of Liberties established the first laws in America disavowing animal abuse. When Emperor Titus opened the Coliseum to the Roman public, over 5000 beasts slaughtered for sport to commemorate the occasion, heralding centuries of killing for entertainment. During the Middle Ages, many superstitious Europeans routinely burned cats alive, believing they were common witch familiars and associated with the Devil. We won’t ask you to give up omelets and burgers, but buying cruelty-free products helps endorse companies that make an effort to treat their animas with respect. Plus, these products are much better for you and less packed with dyes and artificial growth hormones. Adoption is better than resorting to get your pet from a puppy mill or breeders who encourage unhealthy incestuous couplings to get an animal with the desired breed-qualities. Mutts typically live longer than purebreds and have less health issues too. 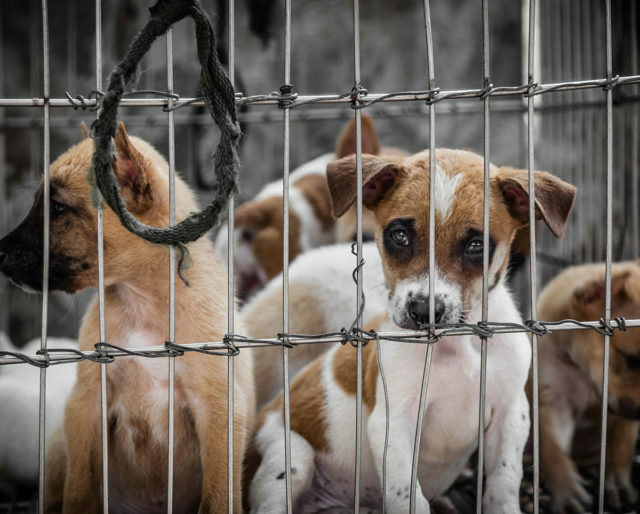 Almost half the animals put in shelters around the country are put down every year. Shelters can only do so much to help with the limited funds they have, and lack of room often forces them to euthanize animals to make way for more adoptable breeds. Millions of animals are still utilized to test medication and makeup every year; the damage of the experimentation causes their skin to warp with sores and chemical burns. Don't try to convince yourself it's just rats and gross rodents—it's "cute" animals like dogs, cats, and rabbits too. Often animal abuse is an indicator of potential harm being directed toward humans—sometimes it's even a precursor. The FBI has revealed overwhelming evidence and research to this effect. One of the easiest ways to identify a serial killer is too look in their back ground and see if they have a history of mutilating or killing animals. Young Jeffrey Dammer killed neighborhood animals for fun. Many pet owners aren’t aware they are endangering the lives of their furry/scaly/feathered companions. Thousands of dogs die in hot cars every year. An awareness of how to protect your pets would prevent this travesty.